L’Esprit Baroque performs rarely-heard Baroque cantatas and chamber music for voices and period instruments in California and beyond. Our mission is to bring the amazing music of the Baroque era, and historical performance practice, to audiences in Orange County. What a great concert! Beautiful repertoire (so much of which rarely sees the light of day) and so elegantly performed. I loved the travelogue effect as you led us on our “Giro d’Italia.” It was a real treat. Grazie! Our core members are Elysha Massatt, soprano, Sarah Vay Kerns, baroque flute, Sylvia Schwartz, baroque violin, John Ott, baroque cello and viola da gamba, and Janice Massatt, harpsichord and organ. We started playing together in 2013, as part of the Massatt family’s home concerts. Since then we have performed over 20 concerts, featuring different programs centering around the music of the Baroque era. We frequently invite other musicians to sing and play with us, so we can perform a wider variety of repertoire. We love bringing to life the sacred and secular cantatas that combine voices with instruments, not just as accompaniment but as additional soloists, and we also love exploring the multitude of solo and trio sonatas that have been composed during this era. All of us are passionate and excited about this repertoire, and we have enough music in the planning and rehearsal process to fill up many more concerts! L’Esprit Baroque would like to thank photographer Eli Zaturanski for his beautiful photos. Wish to support our work? 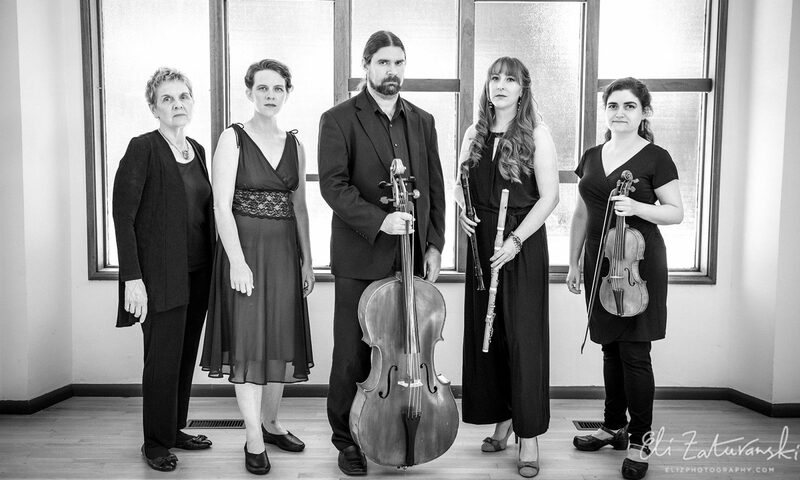 L’Esprit Baroque is enjoying an ambitious concert season with a Fringe Concert at the Boston Early Music Festival in June 2019 and a return to the Berkeley Early Music Festival in 2020. We are continuing our performances in Placentia and Berkeley as well as house concerts that bring us back to our roots. You can have a direct impact on our ability to continue making music with a financial contribution, helping us pay for the spaces in which we perform, advertising for our concerts, and rehearsal and performance time for our musicians. We are very happy to announce that L’Esprit Baroque is now a sponsored project of Fractured Atlas, a non-profit arts service organization. Contributions for the charitable purposes of L’Esprit Baroque must be made payable to Fractured Atlas only and are tax-deductible to the extent permitted by law. If you would like to discuss underwriting for this or another event, please click here to email us. Our cellist, John Ott, invested in a new viola da gamba bow in June 2018 and is now fundraising for a Baroque cello. If you would like to support these efforts by donating, hosting a house concert, or connecting us to other potential donors, please let us know.